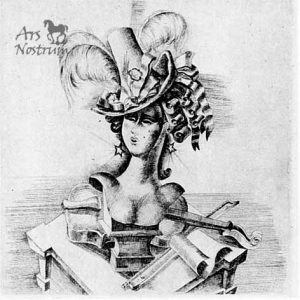 From the catalogue of Mariano Andreu’s engravings (lithography, etchings and other kind of image reproduction) you have the option to obtain information about one or more of his artwork. There are two different options regarding the type of information you can access about your selected artwork. The first one gives access to its fact sheet, which includes identifying data, a list of exhibitions in which it was presented and the documental sources, literary theme or bibliography that address the artwork. The second option offers a complete study which links the artwork to its historical context, to other artworks such as paintings, drawings, sketches, engravings that relate to it, reviews and some features that distinguished it. If as an art dealer, auctioneer or collector you would be interested to know more about one or more of the artwork gathered in our catalogue or one that is not on this website yet, you may contact us through the same email. After applying you are going to receive: information about the historical context, some reviews and the formal characteristics of the chosen artwork. Contact us cataleg@arsnostrum.com. Click here to access the engraving and posters gallery.